Childpeace offers the opportunity for children to be engaged in a healthy educational community for a span of many years, some from their toddling steps through adolescence. Each classroom environment is a mixed-age group, with openings for new children usually at the younger end of the age spectrum. We prioritize siblings of currently enrolled students as space allows. For new applicants, priority is given to families who have made a positive effort to learn about our program and are interested in remaining at Childpeace until their child is ready for high school. 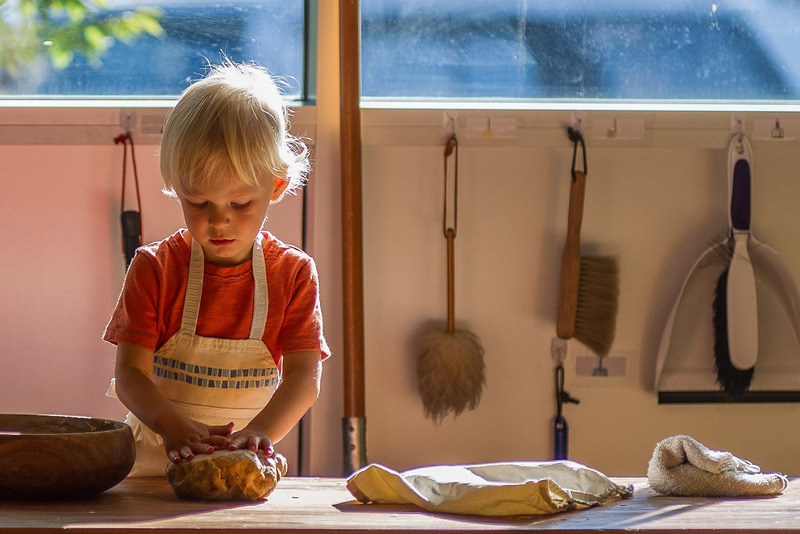 We prioritize Montessori transfers after age 4. For specific information about current openings, check the section on tour and space availability updates. All prospective families are encouraged to attend our monthly Montessori Hour events. These events are free, open to the public and are great opportunities to learn about Montessori education in general and about Childpeace in particular. All events are listed on our main page and those who would like attend can RSVP by calling our front desk at 503-222-1197. We have 20 children, with about 10 openings per year for new children to start when they are 15 to 18 months old. Openings are year-round as the 3 year olds move up to the next age group. We have four classrooms (mixed ages of 3 to 6 year olds), with about 20 openings for new three year olds to start each September (children who have turned three by Sept 1). The Terrace Children's House at 3120 SE Stark has one classroom, with about 8 openings for new three year olds to start each fall. On occasion, there is room to start children who are 4 or 5 years old at either location, and to start a child in the middle of the school year. We have three Lower Elementary classroom communities each with a mixed-age group of 6 to 9 year old students. We have three Upper Elementary classroom communities each with a mixed-age group of 9 to 12 year old students. Families interested in applying to the Upper Elementary program are prioritized based on their commitment to staying through the 6th grade year and intention to transition into our middle school program. At both the Lower and Upper Elementary Levels we encourage interested families to take a program tour and learn more about Montessori education and the application process. 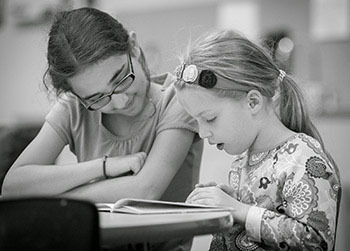 Metro Montessori is a mixed age group of 12 to 15 year olds (7th, 8th and potentially 9th grades). Most students have graduated from an AMI Montessori elementary program, and we accept a few students new to Montessori who seem to be a good fit for our approach to learning.